We are a Hyundai dealership offering affordable and fuel efficient new Hyundai vehicles and is your Enfield used cars dealer. Find new Hyundai cars and SUVs for sale or lease, and complete a vehicle trade appraisal in just a few short minutes. Research new Hyundai models and start your process with ease using the Lia Hyundai of Enfield CT website. Lia Hyundai of Enfield CT; selling and servicing new and used Hyundai vehicles in Connecticut (CT), Springfield, Holyoke and Chicopee MA. Find your next car right at Lia Hyundai. Whether you're looking for a new Hyundai or a Enfield used car deal, our selections in both will make for easy car shopping and a great experience. Stop by 40 Palomba Drive Enfield, CT 06082 today! We're only a short drive for residents in Northern Connecticut and Massachusetts cities including Springfield MA, Hartford CT, Vernon CT.
Find new 2018 Hyundai models conveniently on our website 24/7. As a new car and Hyundai Dealer in Enfield CT offering value to our customers is important. And the vehicle to help us get there is the New 2018 Hyundai Line Up paired with unmatched customer service. A great way for visitors who've just started to look at Hyundai cars is to stop by our New Hyundai Showroom page of our site. From there you can choose a compact, sedan, hatchback, SUV, or Crossover (CUV) to help you find the style and options you want in your new car. Be sure to visit our new inventory and see the 2018 Hyundai models at our CT Hyundai Dealership. 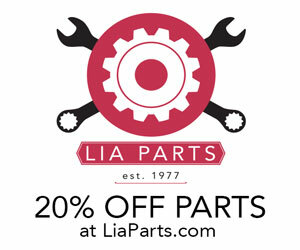 Auto Parts and Auto Repair in Enfield, CT just got easier. 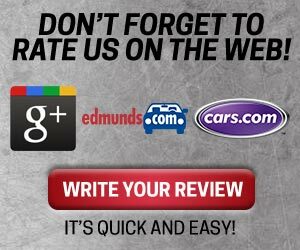 Take the hassle out of scheduling an oil change, service appointment, warranty repairs, or any other car repairs in Enfield and do it online. While you're here be sure to pop in to our online car parts department where you can also see and order Hyundai accessories to personalize your car. We are your Enfield used car dealer! Access our used car inventory if you're interested in a pre-owned car or some very attractive used car deals. You'll also see that all of our used cars are Carfax Certified. Don't hesitate to give us a call regarding a specific vehicle and availability. Easily search for a Certified used Hyundai here. These pre-owned Hyundai's are the best of the best and have made it through the strict Hyundai certification process. Start searching the Certified Pre-Owned Hyundai inventory, or read more about what it takes to bear the title of a Certified Hyundai. Have you been thinking, Who will buy my car Worry no longer because Lia Hyundai of Enfield CT will! 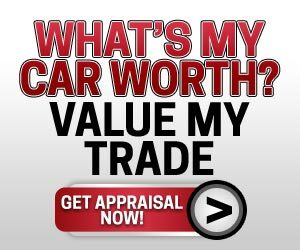 Find out what your auto trade in value is by completing our online form. We'll buy your car even if you don't buy ours. There's a short list of what you should bring with you if you are trading your car in or selling us your used car so make sure you contact us before you come by. Keep in mind that we only use the most trusted sources for your trade in value report. Click here to get started. This is one of the most engaging sections that our viewers love to check out. Find up to date monthly specials and incentives that help you save money whether you would like a Hyundai lease deal, Low APR Auto Loan, Parts Special, Accessories Special, Service Special, or some of the most highly desirable Featured and Used Car Deals in Connecticut or the Springfield, Holyoke and Chicopee MA areas. Get started now and approved in no time with our secure credit application. Lia Hyundai, a CT Hyundai Dealer, has been able to help customers with their car loan and auto financing needs for years. We also cater to the need of car shoppers looking for a lease deal in Enfield, CT and the surrounding areas in Connecticut (CT) or Springfield, Holyoke and Chicopee MA areas. Completing your online credit application in seconds will help you take the guessing out of your approval if you are in need of bad credit car loan in Enfield and Hartford CT.
As you can see, here at Lia Hyundai of Enfield CT we want your car shopping and buying experience to be easy and positive from start to finish. We also want to make your ownership experience an enjoyable one. Having customers from our neighboring towns and cities really have been the backbone of our success. So, if you are coming from Vernon CT, Springfield MA or Holyoke MA and need help finding our CT Hyundai Dealership location at 40 Palomba Drive Enfield, CT 06082 then visit the Hours & Directions page of our site. If you have any additional questions about a new vehicle please give us a call or contact us online. See more details on new car specials and lease deals in CT by visiting our specials pages. As a used car dealer in CT we welcome the opportunity to earn your business. With a vast pre owned inventory, and excellent used car loan and warranty options we're sure we can help you get what you need. If there's a specific car you're looking for and you don't see it in our used car inventory then complete our Carfinder form and we'll let you know when your car arrives at our Enfield CT Hyundai Dealership. Start shopping our used car inventory now!